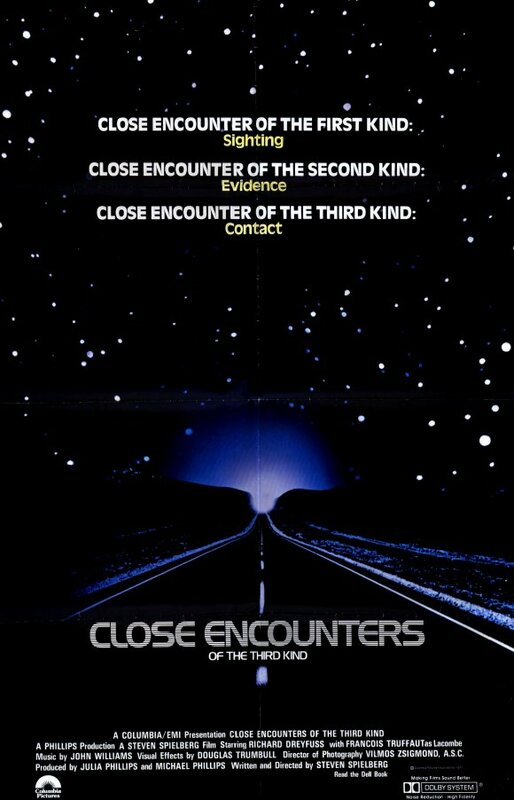 Close Encounters of the Third Kind is a 1977 American science fiction film that tells the story of Roy Neary, an everyday blue collar worker in Indiana, whose life changes after an encounter with an unidentified flying object (UFO). The font used for the film title in the poster is very similar to Handel Gothic, a futuristic geometric sans serif designed by Donald Handel. For the “Sighting, Evidence, Contact” above the title, it is set in Antique Olive.